Joint and muscular disorders have become an intensive area of research and treatment in the medical fraternity. 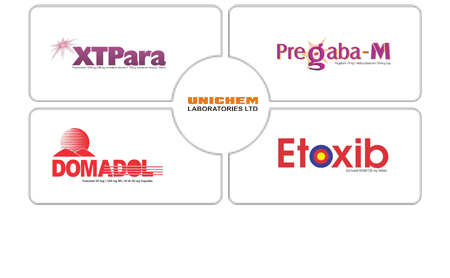 Unichem has a host of effective products to treat rheumatic and orthopaedic ailments. The company has tried and tested solutions for all types of orthopaedic ailments like sprains, strains, spasmodic pains or sports-related injuries. The company has pharmaceutical drugs specially targeted at treating neuropathy and chronic pain. Unichem also assists patients suffering from osteoporosis to deal with the risk of bone fractures and decreased mobility.